SpaceX’s Falcon 9 v1.1 launch of six ORBCOMM OG-2 satellites has seen its launch date tweaked to No Earlier Than (NET) launch date to June 15, pending its Static Fire test on Friday. The slight delay is understood to be related to a re-test requirement on the satellites. Meanwhile, Orbital’s launch of the Antares rocket with the CRS-2/ORB-2 Cygnus – set to ride to the International Space Station (ISS) – was pushed back to a NET July 1 target. The next launch of SpaceX’s Falcon 9 v1.1 was recently delayed after a problem occurred during the required Static Fire test early in May. While the specifics of the problem haven’t been released, SpaceX did note the issue related to a helium leak inside the first stage of the rocket. 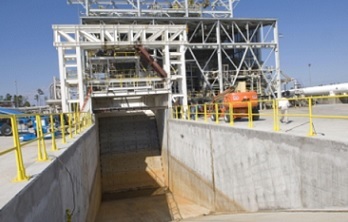 With the problem noted during the fuelling of the rocket, controllers acted quickly to safe the vehicle via a scrub of the Static Fire, ahead of detanking operations. Lowered off her Space Launch Complex -40 (SLC-40) launch pad at Cape Canaveral, the Falcon 9 was rolled back to her hanger for borescope inspections and unspecified repairs. It is understood those repairs have since been completed, with the majority of the recent effort relating to reviewing the root cause of the leak, in order to avoid a repeat situation during the next Static Fire or indeed the launch itself. The launch date was reset several times, mainly to find an optimum new target for the mission, with SpaceX and the Eastern Range settling on June 12. In order to meet that date, the plan revolved around a Static Fire test on Monday. However, that was postponed a few days ago when source information noted the six spacecraft – that are set to enjoy a ride to space on the Falcon 9 – require an unspecified re-test procedure. While SpaceX could opt to conduct the Static Fire with or without the payload atop of the vehicle, the realigned plan calls for the Static Fire to take place on Thursday, likely as an integrated stack. UPDATE: Static Fire moved to Friday afternoon local time due to weather requirements – likely impacting rollout operations. A large window is usually available for these tests – which are also called “Hot Fires” – given the test culminates in the firing of the nine Merlin 1D engines for a few seconds while the rocket is held down at the pad. The latest Static Fire date remains preliminary, as does the launch date target, which has now moved to June 15, with a window ranging from 20:00 to 20:53 local time. A back-up date of June 16 is also noted, with a window that stretches from 19:38 to 20:31 local. SpaceX is yet to respond to questions confirming these latest launch targets, although they are now published in KSC/Cape Status information (L2). It is likely the company and customer will release a firm schedule closer to the time of launch, as is usually prudent based on many factors. Those factors include negotiations with the Eastern Range, who have to approve the realigned launch schedule before SpaceX can set the actual launch date. 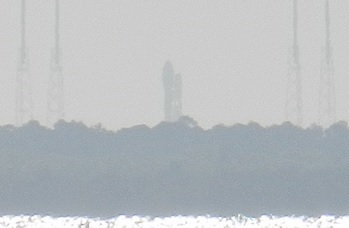 The Eastern Range is currently working a near-term maintenance period, which could further impact the launch date. UPDATE: ORBCOMM confirmed the issue was with their satellites via a release on their website late on Tuesday. 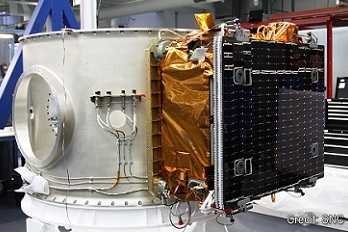 “During final integration on one of the OG2 spacecraft, we encountered a minor issue resulting in a few extra days of delay to perform precautionary steps to ensure there are no operational concerns with the satellite,” noted the company. “We intend to re-encapsulate the satellites this evening (Tuesday). 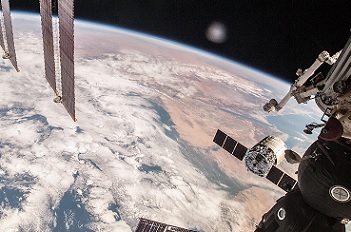 Orbital’s next launch of their Antares rocket is tasked with lofting the next Cygnus spacecraft on a resupply run to the International Space Station (ISS). The Commercial Resupply Services (CRS) mission, also known as ORB-2, was enjoying a smooth flow until a failure occurred thousands of miles from the Wallops launch sites. 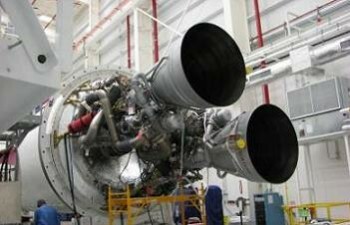 The issue related to one of the AJ-26 engines – set to launch with a future Antares rocket failing – failing during a test at the Stennis Space Center. The Antares launch vehicle utilizes the Aerojet Rocketdyne produced AJ-26 – a rebuilt version of Soviet NK-33 – for first stage ascent, an engine that has been very reliable during Antares early career. Testing of the engines at Stennis is a major requirement to ensure the units are in full working order prior to being integrated with the launch vehicle. The AJ-26’s are tested at the E-1 Test Stand, in one its three cells. On May 22, L2 information noted a large failure – cited as an explosion – of the AJ-26 engine undergoing a test fire – mid-way through its burn. Orbital and Aerojet confirmed the failure, without providing specifics, although source information notes the engine and the test stage were heavily damaged. 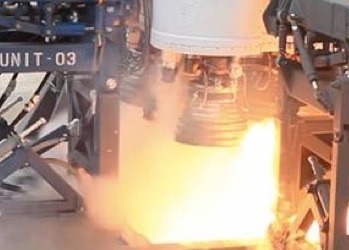 No further information has been provided by either NASA Stennis, Orbital or Aeroject Rocketdyne, with the latter confirming to NASASpaceFlight.com on Monday that they will only provide an update at a later date, due to an ongoing investigation into the failure. What is known is the failure has resulted in a delay to the next Antares mission, due to the commonality of the engines both set for flight and undergoing testing. It was hoped a new launch date would place Antares with a ride uphill on June 20. However, this was soon shown to be optimistic, as Orbital released a new NET date of July 1 – which is also very preliminary at this time. “Orbital has updated its Antares launch schedule for the Orb-2 mission to a date no earlier than (NET) July 1, 2014. The new launch schedule reflects the timing of the investigation into the cause of an AJ26 engine failure that occurred in late May at NASA’s Stennis Space Center during customary acceptance testing,” noted Orbital this week. The engine that failed during testing wasn’t set to fly until next year, on a future CRS mission. Orbital’s release confirmed the investigation into the failure is ongoing. “The investigation into the failure is being led by the Antares main stage propulsion supplier, Aerojet Rocketdyne, with Orbital and NASA engineers also supporting the effort,” added the statement. (Images: via L2′s Cygnus Section, containing presentations, videos, a vast set of unreleased hi-res images from Cygnus’ missions, interactive high level updates and more. Other images via Jacques van Oene/Spacepatches.nl, SpaceX Orbital and NASA).